We’ve rounded up a handful of new announcements from chains to local eateries. Take a look below, and tweet us at @DallasFoodNerd if you have something to add. We’re also giving away two free tickets to Dallas Observer’s Iron Fork event coming up at Fair Park. Scroll down to get more info on how to enter! Lower Greenville’s Clark Food & Wine Co. has introduced weekend brunch available every Saturday and Sunday from 11:00 a.m. to 3:00 p.m. The cuisine honors Texas’ European Heritage. Lunch items are available along with Brunch features including Hash & Eggs made with brisket hash, poached eggs, cilantro hollandaise and a toasted baguette and Citrus Toast made with griddled French bread, vanilla custard, Texas citrus and basil syrup. 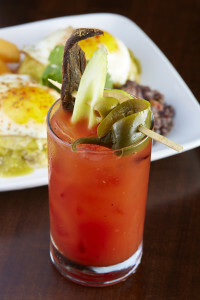 Additionally, check out the drinks: Bloody Bar and Prosecco Mimosas. You can find “Peace. Happy. Juice.” at The GEM! The juice company recently opened its second Dallas location at Preston and Forest (5915 Forest Lane, Suite 360). 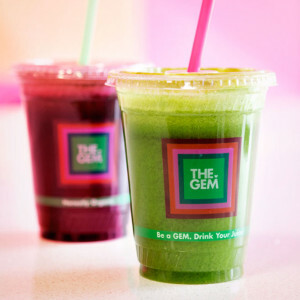 The GEM uses fresh organic ingredients and the latest nutritional know-how to create pressed juices, smoothies, juice cleanses and radically simple vegan foods that nourish the mind and body. Hutchins’ new location in McKinney offers a full-dining experience with outdoor seating, private event rooms and the option of catering out. BBQ fans have the opportunity to enjoy decadent barbecue food in North Dallas. 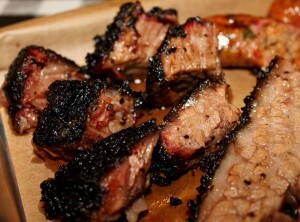 Hutchins BBQ is located at 1301 N. Tennessee Street, McKinney, TX 75069. 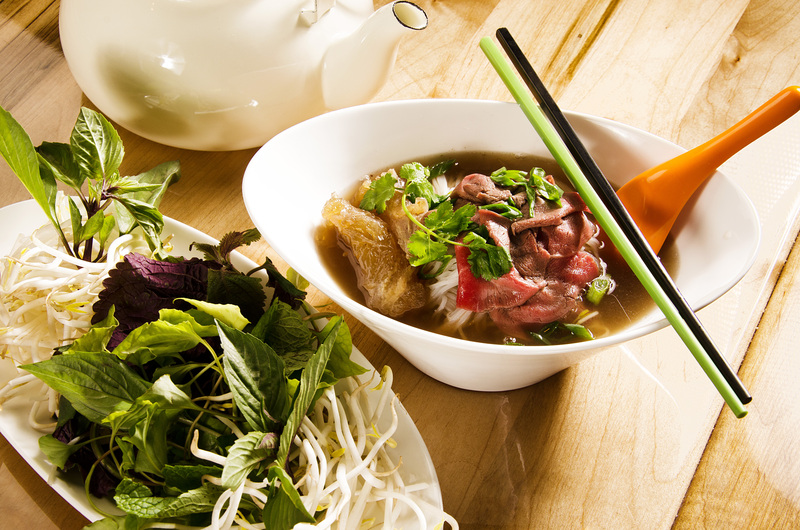 Chef Eddy Thretipthuangsin invites guests to “Eat Up” at his new Thai eatery, Kin Kin Urban Thai. The restaurant is open for dinner service and will add lunch service beginning on Monday, March 2. Kin Kin Urban Thai is located at 2801W. 7th Street in Fort Worth. 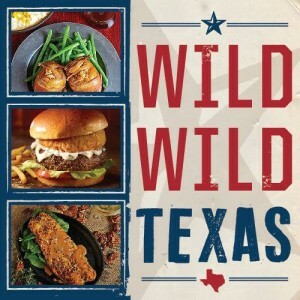 Texas Land & Cattle will celebrate Texas Independence Day with a special Wild, Wild West menu featuring entrées like Texas Stuffed Quail, Bison Burger and Pecos Pecan Trout. The restaurant will also have available its Border Gimlet, an expertly crafted blend of Absolut Texas vodka, fresh lime, agave nectar, cucumber and a kick of jalapeño. And don’t forget to ask about their vast range of craft beers! The menu launches March 2 and runs through March 31. World of Beer will celebrate its grand opening on March 3 at its newest location (3252 West 7th St., Fort Worth, TX). The bar will host a special firkin tapping with local brewery partner Rahr & Sons Brewing Co. at 6:30 p.m. featuring local dignitaries and guests. The rare firkin-based cask ale will give WOB guests an exclusive taste of Rahr & Sons’ spring seasonal scotch ale, Iron Joe, which is only available for patrons to enjoy this time of year. Live music from R&B favorite, Bobby Dade, will be featured from 8 p.m. to 11 p.m., and the first 50 guests will receive a commemorative WOB glass. Sunday, March 1 at 9 p.m: Following a private, “Support Local, Drink Local” soft opening, a public “Sneak Peek” preview will feature live music by Bomb Atomic (7 p.m. to 10 p.m.) and three specialty drafts from local brewery partner Panther Island Brewing. Net proceeds from sales that evening and a silent auction will benefit the Friedreich’s Ataxia Research Alliance (FARA), a non-profit funding research and education for this debilitating, neuro-muscular disorder. The rare disease causes a progressive loss of coordination and muscle strength and affects one in 50,000 people in the U.S. WOB will host a major fundraiser soon after opening for FARA, so stay tuned for more details. Tuesday, March 3 at 6 p.m – 8 p.m: A Loyalist Night will feature the Martin House Brewery’s seasonal brew, Chocolate Swirl, served in a specialty glass in advance of the brews’ public debut. A representative from Martin House will be on site to answer any questions about the brewing process and the beer’s unique ingredients and flavor. Wednesday, March 4 at 6 p.m – 9 p.m: The Brewery Night spotlights specialized drafts form Lakewood Brewery. Guests that evening can enjoy four of Lakewood’s finest brew batches including Sin Mint Temptress, Raspberry Temptress, and the original Temptress from the Seduction Series, and Bokkenrijders from the brewery’s Legendary Series. The tavern will also be giving away a Snifter Pint Glass as part of its weekly Pint Night Give Away. 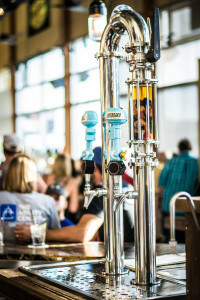 Thursday, March 5 at 5:30p.m: Drop in on the “Local Community Mixer” featuring Ranger Creek, the only brewstillery in the state of Texas (both brewery and distillery). We will be pairing up Ranger Creek Whiskey with some of their awesome brews to highlight their rich flavors for a great collaboration. We will have a representative of Favorite Brands to help host the evening with some great giveaways. This weekly Local Night follows a ribbon-cutting ceremony with the Fort Worth Chamber of Commerce earlier in the day. “Digg” the debut of Dugg Burger during its grand opening celebration Wednesday, March 4, 2015 from 6 p.m. to 10 p.m. Enjoy the talked-about “dugg-out” bun, the juicy burger and the Dugg Dozen toppings, including the Lucky 13 topping. Proceeds benefit Dallas’ For the Love of the Lake, a volunteer organization dedicated to preserving and enhancing White Rock Lake Park as an urban oasis. 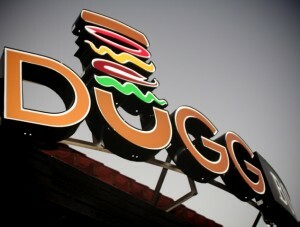 Dugg Burger is located at 9540 Garland Road #407, Dallas, Texas 75218. Savor Dallas presented by Goody Goody, will feature a robust lineup of participating restaurants and wines. This enriched multi-day festival serves as the ultimate toast to the city’s culinary scene and epicurean culture and will celebrate its 11th year on March 19-22, 2015. Savor Dallas kicks off with the Arts District Wine Stroll on Thursday, March 19, followed by Savor the Arboretum on March 20, The Reserve Tasting at The Women’s Museum in Fair Park on March 21, The Grand Tasting at Centennial Hall in Fair Park, also on March 21, and the Community Brunch in partnership with Downtown Dallas Inc. and Café Momentum at Main Street Garden on March 22. Additional information for the festival, including the latest scheduling and programming news, will also be posted on www.savordallas.com. On St. Patrick’s Day, Pluckers Wing Bar will be running a “keep the mug” promotion. 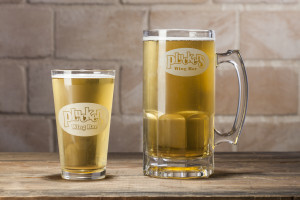 The first 250 people who are either Pluckers Club members or follow Pluckers on social media AND buy a 34-oz Bud Light beer will receive a special edition 20th anniversary Pluckers beer mug. Though the Dallas Observer Iron Fork event isn’y until April, we’ve added it to this roundup and are giving you a special presale code and a chance to even win free tickets! The Iron Fork, sponsored by Whole Foods, is a grand tasting event featuring many prestigious local chefs and delectable food and drinks. The center stage will feature the Chef Challenge Moderated by Restaurateur Kent Rathbun. 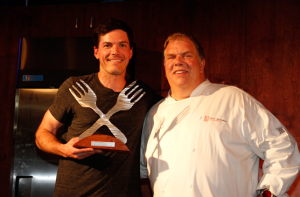 Two top chefs will receive a basket of ingredients and go head to head for the prestigious Iron Fork award. During the event, attendees will enjoy the chef challenge and tastings from local restaurants alongside wine, beer and cocktail sampling. We’re also giving away 2 free Iron Fork tickets! Tweet us at @DallasFoodNerd or leave a comment below and let us know why YOU want to win. We’ll randomly pick one winner on March 8. We hope to see you at #IronForkDal next month! Wow! I’d love to go to Iron Fork to see what awesome things local chefs come up with! I’ve watched cooking shows but rarely have the chance to taste their unique creations! My boyfriend and I are obsessed with watching cooking shows/ competitions on tv. Every night we cook dinner and Netflix either Hell’s Kitchen, The F word, chopped, Etc. It would be icing on the cake to see some live action!!! We have got to go to this! Awesome food to try out!